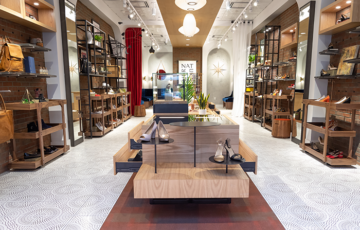 Healy Construction is very proud to have worked with Caleres Brands and Naturalizer to complete their Flagship Store in Chicago’s landmark State Street Retail District. This project was a complete demolition of an existing tenant space, and a transformation to the new store you see pictured here. Working on a tight timeline in a densely populated area, this project was completed on-time and with-in budget. Brad Adams, senior VP of Naturalizer Retail. This was Healy’s first project with Caleres Brands & Naturalizer. General Contractor: Healy Construction Services, Inc.
Our passion is our purpose: To bring women a better shoe. 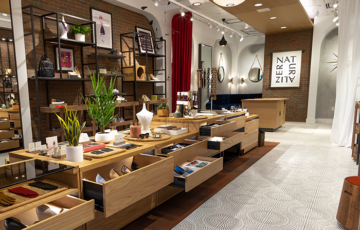 In fact, Naturalizer is the first to construct shoes to withstand the test of time. Our legendary emphasis on fit and elegant simplicity launched a brand that became known as “the shoe with the beautiful fit.” Since 1927, we’ve crafted beautiful and modern styles that look and feel exceptional, inside and out. 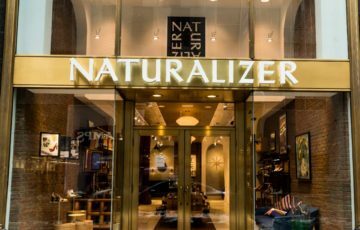 Visit www.naturalizer.com to learn more about us. Caleres is a diverse portfolio of global footwear brands. Our products are available virtually everywhere – in the over 1,200 retail stores we operate, in hundreds of major department and specialty stores, on our branded e-commerce sites, and on many additional third-party retail websites. Caleres brands include Famous Footwear, Sam Edelman, Allen Edmonds, Vionic, Vince, Franco Sarto, Dr. Scholl’s Shoes, LifeStride, Via Spiga, Diane von Furstenberg, Blowfish Malibu, Bzees, Carlos by Carlos Santana, Circus by Sam Edelman, Fergie, and rykä.